If you haven't been able to tell from my local adventures or highlights on my Instagram, I really love supporting my local community and small businesses. The DC metropolitan area is full of some awesome entrepreneurs and creatives so that is why I am excited to share deNada with you all. 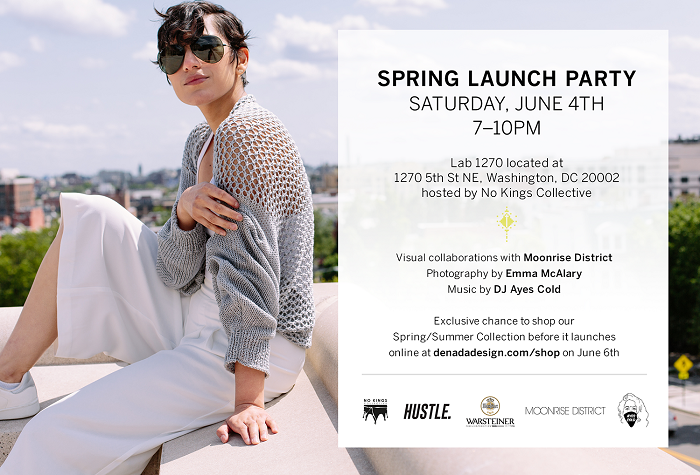 deNada focuses on knitwear and the owner and designer, Virginia Arrisueño, is excited to launch her first Spring/Summer collection this Saturday at Lab1270 at Union Market. I am eager to get a sneak peek of the pieces before they go live on deNada.com on Monday June 6th. If you’re in NoMa on Saturday (TOMORROW!) from 7-10pm you should totally stop by and see what all the fuss is about. Music, fashion & mingling - what is there to not be excited about? ?